How do we attribute that blindside? Doggone it. I was all set to write a nice little column about in-group/out-group bias, about how Libby and Morgan allied simply because of their Catholic upbringings. You could see, through their interactions, the power that shared bonds hold amongst people. These two didn’t know each other, presumably had no idea about their beliefs within their faith and didn’t really know the devoutness of the other. But, yet, that bond looked strong. And instead of writing a fun little column on in-groups and out-groups, I watched another member of my fantasy team walk out of the game. As of now, I’m down to Laurel and only Laurel. Yeah, I’m probably not winning anything. But this is not the time and place to talk about what I wished happened, but rather we’re here for the theory. So, let’s get to the theory, OK? Today we’re going to talk about attribution theory, a commonly used framework in psychology. Developed by Austrian-American scholar Fritz Heider, who spent his most influential times as a professor at the University of Kansas, attribution theory is an individual-level model that looks at how people explain the causes of action. Basically, when using this theory, researchers look to how people explain behavior. People often feel the need to explicate what is happening around them when those happenings are surprising. There are two types of attribution: internal and external. In external attribution, we often blame behaviors on outside forces, not us. The opposite is true in internal attribution. This is an admittedly simplistic articulation of a deceptively complicated theory, but in journalism studies, we often utilize attribution theory when trying to understand how journalists decide what are appropriate and inappropriate actions within the industry. For example, after the Jayson Blair scandal, some researchers analyzed how journalists wrote about the scandal to understand, very generally, what they thought was right and wrong. Essentially, the theory lets us see how journalists blame themselves and the system they exist within for industry-level surprises. Thinking of this week’s episode, I think we can use attribution to make sense of what James, Libby, Donathan and Laurel did. To me, it looked like James, Donathan and Laurel were all on board with ditching Morgan. But Libby was not. So how does she convince herself to vote off Morgan? First, we saw Libby and Morgan bonding over a very general thing: religion. What I mean by that is we know, through surveys, the vast majority of Americans self-identify as religious, but we also know that “religion” means different things to different people. Yet, for Libby, the same religion meant a lot. My guess is that means Libby is relatively devout, but we have no idea about Morgan. So, internally, Libby clearly wanted to vote off Angela, someone she could stereotype easily because she barely knew her. So how does Libby rationalize voting off Morgan? No doubt, this coming week, we’ll see a confessional where Libby talks about doing what the group wanted. Essentially, in Survivor and life, people can rationalize some behaviors that, deep down, they did not want to enact, by blaming it on the situation they were in and the other people involved. I have no doubt this is what Libby did and how she’ll explain her actions next week. Enough theory, though. 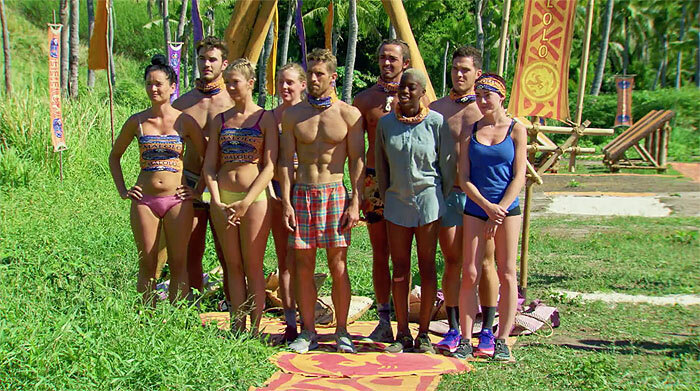 Let’s get to a look at the remaining castaways. But, keep in mind, as I mention in these comments, I think we know less castaways after 180 minutes than I can remember. I honestly know about half these folks. Jenna: I don’t understand why Jenna still can’t seem to “manifest” herself any screen time. In all honesty, I don’t think producers have done a great job of giving enough castaways a character arc or attention. As I look at the list of players, I still don’t know many of them except for their CBS bio. Desiree: Like Jenna, Desiree still hasn’t made much of an impression on me. I do remember how much she loves her college gym, though. Kellyn: In recent years, Survivor moves further and further away from challenges built around pure physical strength. Puzzles are everywhere. Honestly, I’d like to see more pure strength challenges. But, we’ve kind of arrived at the point where puzzle beasts like Kellyn are more dangerous than anyone else. Stephanie: Even though she’s in the minority now, I’m still loving Stephanie. I have total faith that, despite the scenes for next episode, she’s going to figure out a way to get back on top. Sebastian: We haven’t seen much of the new Malolo and, to be honest, I don’t really expect to anytime soon. 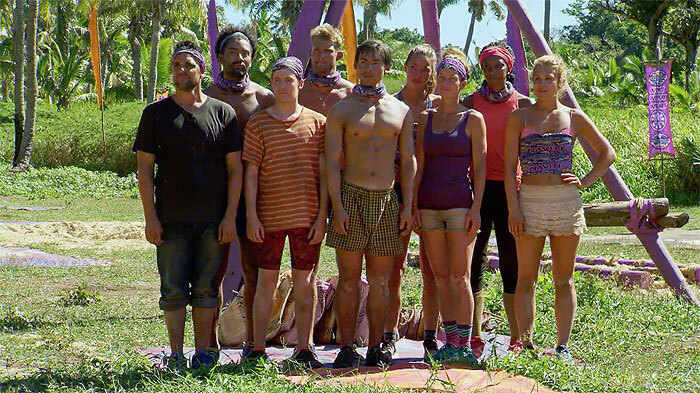 With people like Sebastian, Stephanie, Brendan and Michael and folks like Kellyn, this tribe seems stacked to win all challenges, no matter what they’re like. Bradley: I got so much perverse enjoyment out of everyone mocking Bradley for him doing such predictably Bradley-like things. It made me so happy. This dude has literally no chance of winning anything. He’s first gone, somehow, I think, if this tribe goes to tribal next episode. Brendan: I have to admit, I was hoping Brendan and not Michael found the idol, but, for another episode, Brendan’s play continued to impress. Here’s hoping he’s around for quite a long time. Michael: Good on Michael for grabbing that immunity idol and then not handing it over to someone else. For some reason, I honestly thought that could have been a possibility. Watch me eat my words next week, but I think Michael seems well-positioned for a longer run at this point. Laurel: It was a little subtle, I think, but Laurel, my amazing Winner Pick™, made a pretty big move this week. If you noticed, Laurel is the one who pushed for Morgan’s exit. And, honestly, I think ditching Morgan was absolutely the best move possible. Wendell: While a popular pre-season Winner Pick™ of many, Wendell didn’t have a great week. He seemed to be one of those leading the charge on ditching Angela, which was a clear misread. I do, though, like how his tribemates pushed against voting out Wendell, which makes me think he’s making the merge. Chris: You’re from New York, you know. I know we got to see Chris break down and seem human, but this dude’s a crappy player with absolutely no self-awareness. He’ll be dragged along for a little bit –- while thinking he’s in charge – but this guy is going to annoy one too many people very soon. Donathan: For someone who received seemingly 98% of possible screen time last week, Donathan remained invisible this week. He even looked pretty good in the challenge. Who would have thunk it? And just wait 'til the inevitable dance challenge comes: Donathan will kill it. James: After a rough episode last week, James made the biggest move this week, convincing his old tribemates to stick together and make a play against Morgan. Good job, James. I think things are looking up for James. Libby: You know, as someone who grew up Catholic, let me tell you, Catholics are different all over country. A Catholic alliance was bound to fail; what’s the common denominator? Good for Libby for going against her initial plan and making the right move. Domenick: An idol and the Legacy Advantage would make you think Domenick remains in a good spot, but that’s not the case. First, it looks like he’ll be in the clear minority when next episode rolls around. And, also, it’s way too early for everyone to already know not to trust Domenick. Angela: She speaks! Poor Angela. Why did everyone want to boot her so quickly? Her age? Let’s see if she can start making a move now that she’ll probably be in the majority. That’s it on this end. Let’s all hope this season continues impressing.